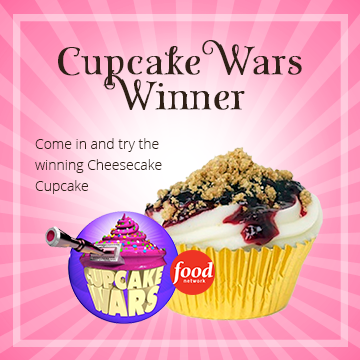 Food Network's Cupcake Wars & Holiday Baking Championship Winner! Start your consultation process by requesting a quote via the form provided below. Please allow up to 48 hours for our designers to prepare a quote for your custom cake order. Note: please check spam/junk email folders for replies. 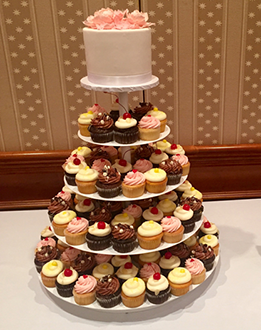 Custom cake and cupcake orders can only be placed by speaking with decorator at a scheduled consultation. We require a minimum of two weeks' notice for all cake orders. Two to four months' notice is recommended due to the high demand for our services. During your appointment, bring anything you'd like to inspire your design. The price of the cake depends on the level of difficulty required to decorate your cake and the size. 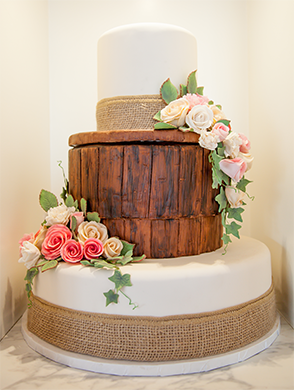 Our custom cake orders can be placed by appointment only; however, you can get pricing by emailing a picture of the cake you want with the date of your event and the number of servings. 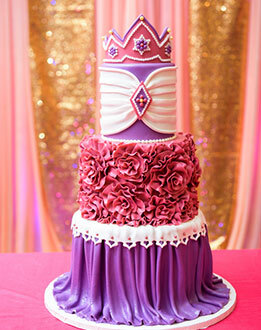 To get started, please fill out our custom cakes quote request form. 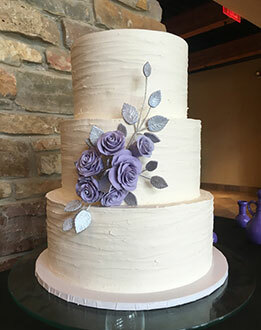 Our consultations consist of a cake tasting of assorted flavors and one hour with a designer who will help you design your cake and give you pricing. There is a $25 fee for a consultation and the fee goes towards the purchase of your cake, should you chose to buy one. Do you offer cake tasting? Yes! For $25 we offer a cake tasting and design consultation by appointment. The $25 fee must be paid at the time the appointment is scheduled. Cancellations made less than 24 hours prior to your appointment will be charged the $25 fee. 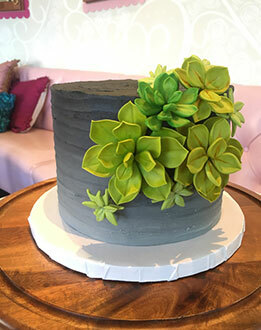 Should you purchase a cake within two weeks of your consultation, the $25 fee will go toward the purchase of your cake. Cakes for sampling are in assorted flavors and fillings. Sorry, but we are unable to accommodate special requests at this time. Please call for an appointment. We currently are taking appointments Sunday, Monday and Tuesday. 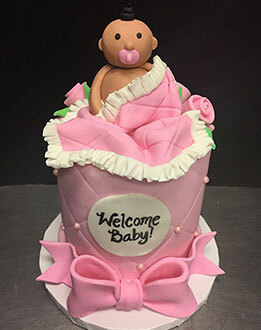 How do I place a custom cake or cupcake order? 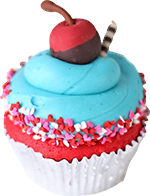 Due to the custom nature of our cakes and cupcakes, an order can only be placed by speaking with a decorator. We do not accept orders via email at this time; however, you can complete our custom cake quote request to get the process started. 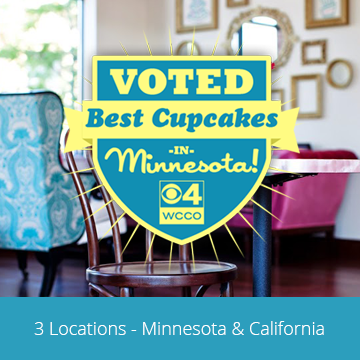 We require a minimum of two weeks' notice for all cake orders. Two to four months' notice is recommended due to the high demand for our services. How do I reserve the date of my special event? It is recommended that you reserve your date as soon as possible to make sure we are available. A 35% non-refundable deposit is required to hold your date. We are currently booking 2-4 months in advance, so call early if you want to make sure we have the date open! 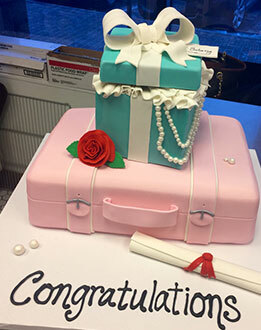 Custom cake and cupcake orders can only be placed by speaking with decorator at a scheduled consultation. However, you can get the process started by completing our custom cake quote request. Do I need to choose one of your designs or can I bring my own? We can do just about any design you’d like. 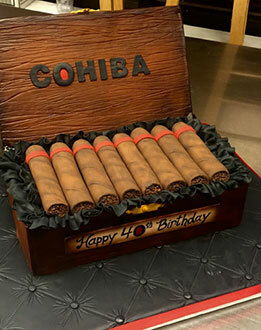 We can duplicate another cake from a website or magazine, use several different elements from several different cakes or design something from scratch! During your appointment, bring anything you’d like to inspire your design… a color, a picture – even your wedding dress! 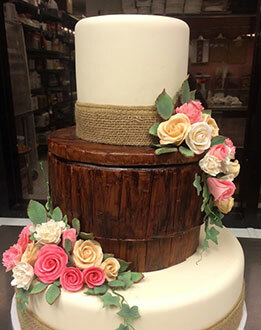 To view some of our cakes, visit our custom cake gallery page - you can even select a cake you like from there to be attached with your custom cake quote request. You may also browse our Pinterest page for inspiration! 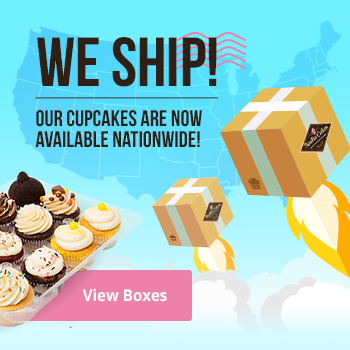 Join our email list and receive special offers on your favorite sweet treats.